A couple of weeks ago, Jeremy and I popped over to our friends, Dan and Lexi, for a quick lunch. We had jerusalem artichoke risotto with roasted vine tomatoes and a side of asparagus. And then we had dessert. Dessert was really something rather special; individual chocolate mousse pots spiked with fresh raspberries. They were absolutely delicious and it got me thinking about my own go-to choc dessert, a green and black’s fudgy chocolate mousse cake that I seem to end up making every time we have friends for dinner. I decided it was due a little makeover and have adapted the recipe by making individual cakes instead of one large one (because everything’s cuter in mini right?) and adding raspberries à la Lexi. 300g dark chocolate (70% cocoa solids); broken into pieces // 275g caster sugar // 165g butter; diced // pinch of sea salt // 5 large free-range eggs // 1 tablespoon ground almonds // 24 raspberries; washed. Pre-heat your oven to 180°. 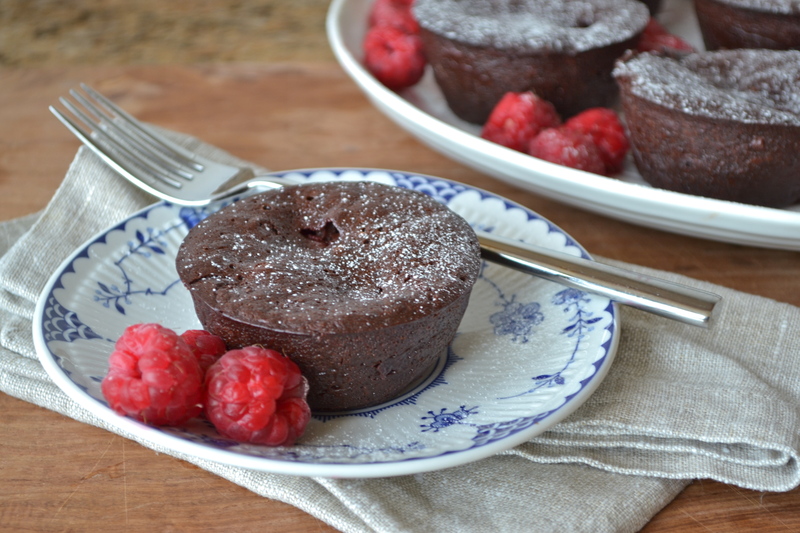 These can be served cold or hot but if you prefer the latter then I’d recommend cooking and serving them in little ramekins as they’ll be a little too soft and delicate to successfully extract them from the muffin tins. To make them in a muffin tin you’ll need to grease a 12 hole tin and line the base of each hole with a little circle of baking paper. 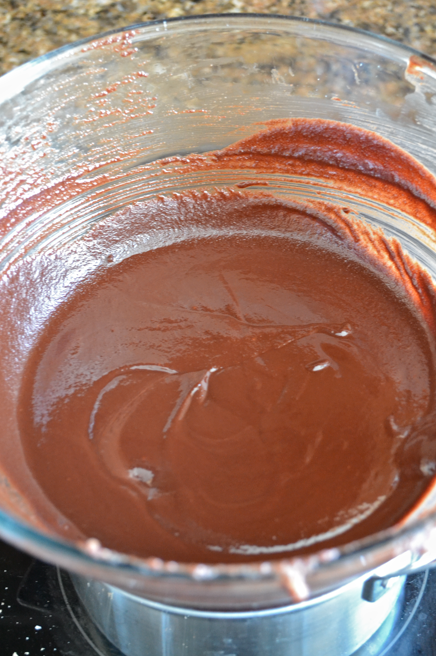 Next, melt the first four ingredients in a heat-proof bowl over a pan of boiling water – making sure that the bottom of the bowl is not touching the simmering water to prevent the chocolate burning. This mixture is pretty tasty so try your hardest not to polish the whole lot off there and then. Once it’s fully melted , remove from the heat. 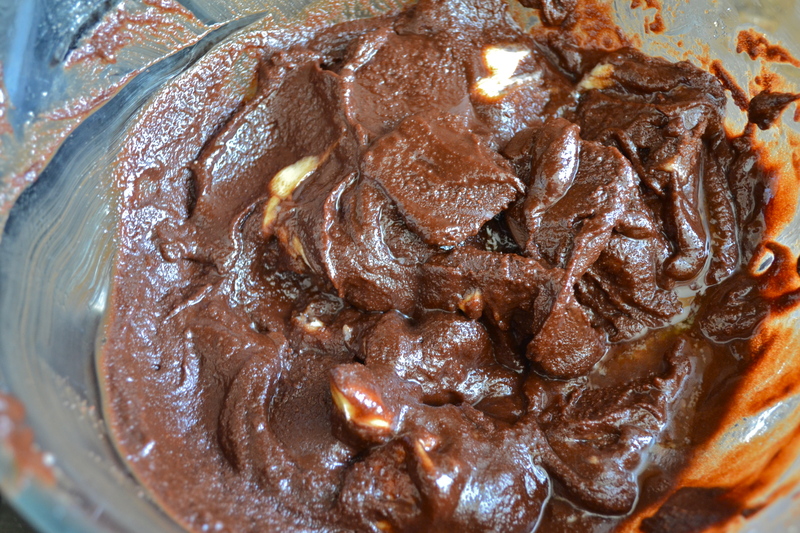 Whisk together the eggs and almonds and then slowly fold into the choc mixture until it’s fully incorporated. 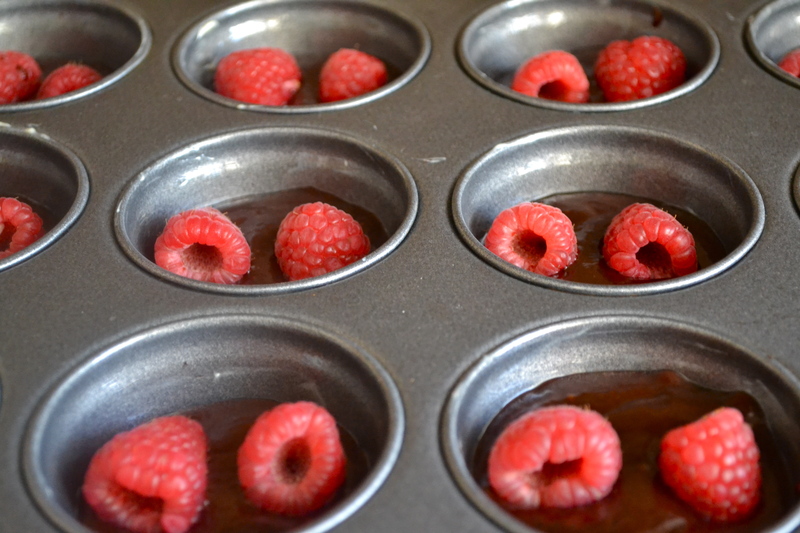 Spoon 2 tbsp of batter into the muffin holes, pop in a couple of raspberries (just like you can see in the pic above) and then cover with another 2 tbsp of batter. In my oven these needed 12min – until the edges are firm and have a little bit of a crust but the centre is still slightly wobbly. As they cool down they’ll set a little more but essentially you’ll be left with a fabulously rich, mousse-like cake. However tempting, try not to remove them until they cool as they’ll be so much easier to handle. I just get a sharp knife and slide it around the edges so the cakes come loose. Give them a little sprinkling of icing sugar and serve with a big ol’ dollop of vanilla ice-cream. If you like the sound of this recipe then take a look at how to make my dark chocolate, cherry and ginger cookies. 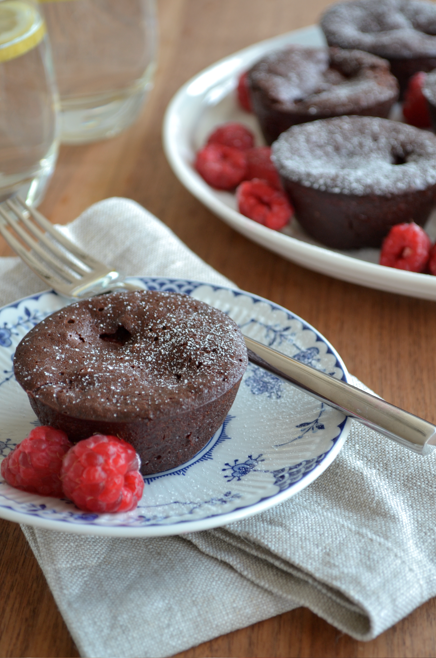 FOR A FUDGIER TEXTURE // Serve the cakes chilled – they’re denser, fudgier and super yummy. THE BIG FREEZE // These little cakes freeze so well and only take around an hour to defrost – perfect for last minute guests! GOING DAIRY FREE? 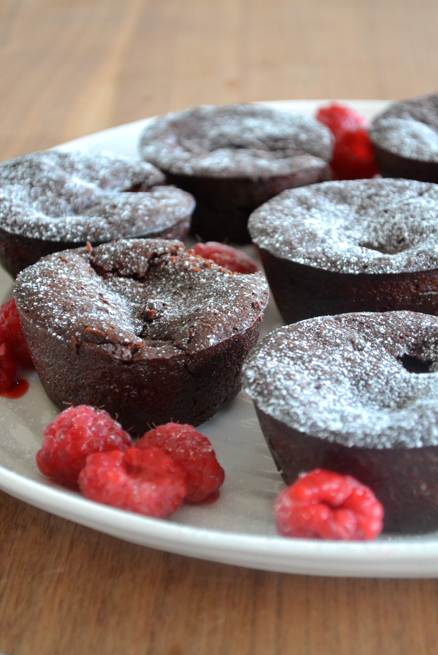 // I’ve made these cakes a million times using margarine and they taste just as good! How much do the eggs need to be whisked?